Sana Kurata has a charmed life. Not only is her mother is a famous, award-winning writer, but she's the star of the hit TV comedy "Child's Toy" while still in the fifth grade. But Sana's biggest concern is Akito Hayama, a pint-sized hellion who's organized the boys in their grade-school class into a mass of unending noise and violence. With the help of Rei, her manager, chauffeur and "pimp," Sana is determined to win back control of the classroom from her new arch-enemy. But as her crusade continues, Sana moves further into Akito's life, and finds that he might not be entirely bad...or entirely safe. 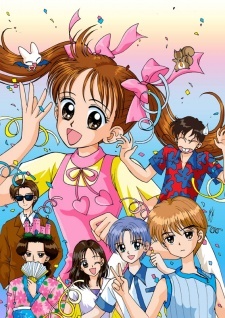 Watch Kodomo no Omocha Episodes Online at Animegg.org. Kodomo no Omocha is available in High Definition only through Animegg.org. Choose an episode below and start watching Kodomo no Omocha in Subbed & Dubbed HD now.